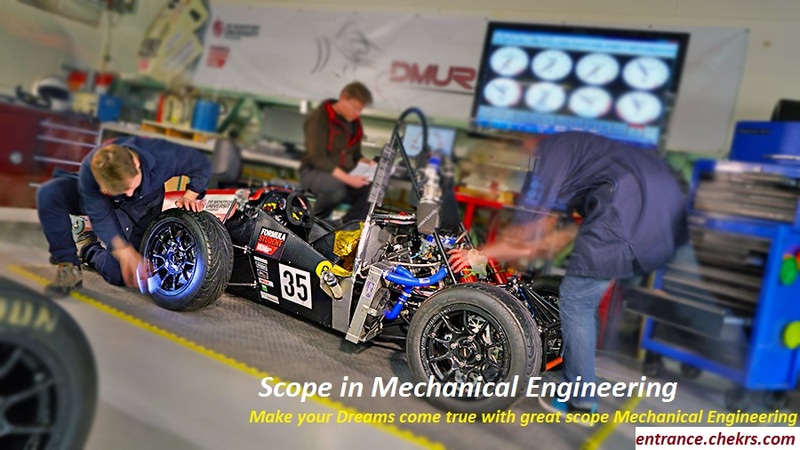 Mechanical Engineering is one of the prime, oldest and broadest engineering streams that is carried out by the students. It is the approach that applies the principle concept of engineering, materials science for the design and analysis, physics, maintenance and manufacturing of Mechanical Systems. It is the core branch of engineering that includes the complete process that is required for developing a machine that includes design, production, and machinery operations. All the relevant details concerning the Mechanical Engineering is prescribed below, you are advised to scroll down the cursor. Undergraduate courses in Mechanical Engineering is a wide-ranging degree program. The main motive behind the mechanical engineering program is to generate a flexible UG educational experience in modeling, design, computing, management, mathematics, Engineering Science, Social Sciences, humanities, and fine arts. The Major topics that are included during the study process are fluid mechanics, solid mechanics, thermodynamics & heat transfer, manufacturing, materials engineering, energy systems, Computer Integrated Manufacturing (CIM), dynamics & control Computer Aided Design (CAD), and others. 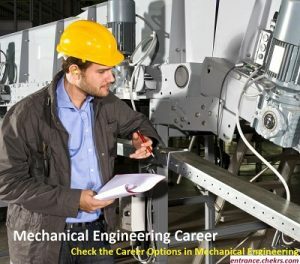 Career Opportunities in Mechanical– If you are looking to choose Mechanical engineer as your career stream then you are advised that the ME is one of the best engineering streams that make you available with a huge number of work opportunities. Income: Income could never be an issue for you if you are truly a good mechanical engineer. A huge number of opportunities are waiting for the mechanical engineers who have a great caliber and talent to make the universe follow the path of your discovered/ invented machines. Great salary packages for mechanical engineers are provided just after completing their 04 year bachelor degree. Innovations for the Future: Many of the MNC’s are looking for the fresh candidates with some extraordinary concept to develop something more creative and away from the thinking of a normal human being. You could discover, innovate, invent, design and create marvelously and outstanding machinery if you really hold the caliber. You have both Fame as well as money if you are really a creative and innovative mechanical engineer. Opportunities with Mechanical Engineering: Mechanical engineering is a broad and flexible program that provides the candidates, the opportunity to customize their programs in a practice to meet their goal and specific career objectives. Traditional students can prepare for technological careers with Mechanical Engineering in industry, graduate school or management. The more interdisciplinary students can utilize this program as a launching pad for professional careers in business or public service. If the students who have prepared their mind to go for Mechanical engineering after passing their 12th class with the PCM but they are in little doubt. These students are advised to contact our technical experts who grab years of technical and practical experience in the Mechanical engineering, they will help you out in deciding your career stream. No doubt, Mechanical engineering is one of the prior and core branches for carrying the engineering degree. For contacting us, you have to leave your queries or question either in the comment box or in the feedback section, we are assuring you that we will respond you as soon as possible with the most optimal solutions.